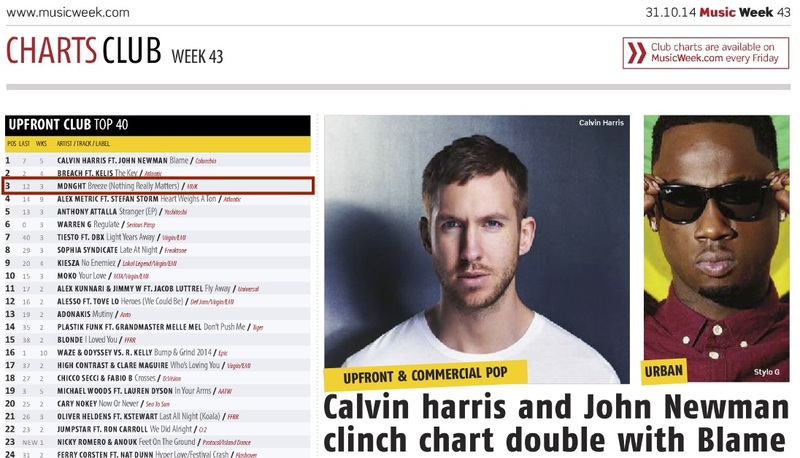 MDNGHT SHOOT TO NUMBER 3 ON MUSIC WEEK’S UPFRONT CLUB CHART, BEHIND CALVIN HARRIS AND BREACH! Even more fantastic news for Manchester four-piece MDNGHT’s Breeze: it’s shot to Number 3 on the Music Week Upfront Club Chart! They’ve steadily climbed the chart in the last couple of weeks, and have now nudged up behind Calvin Harris feat. John Newman‘s Blame and Breach feat. Kelis‘ The Key – proving MDNGHT’s floor-filling, euphoric house-pop can mix it with the big hitters. The response from club DJs has been outstanding, with a third of DJs giving the tune a score of 90-100%, and nearly half of them marking it 80-90%. 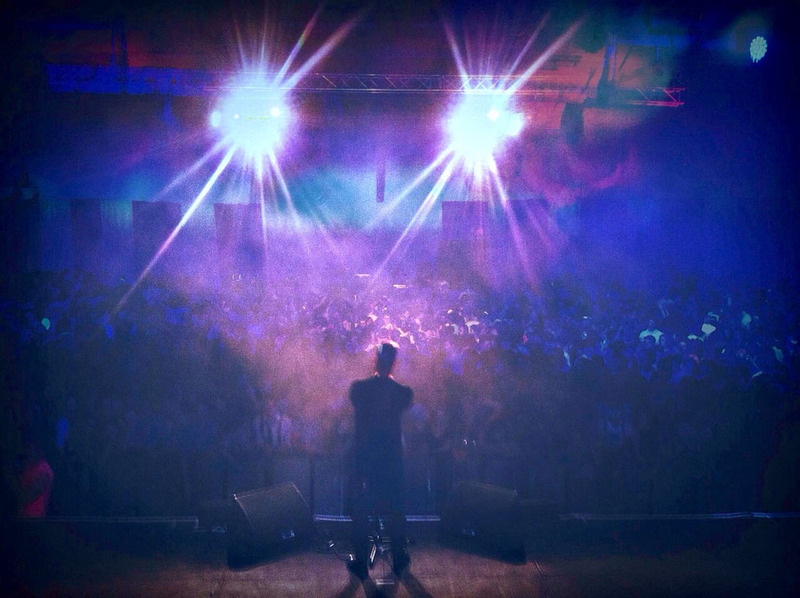 They’ve been getting huge positive responses from dancefloors too: they’ve played a series of huge gigs around the country, playing to enormous student audiences in Bath (below), London and more. MDNGHT are a classy, talented group with a bunch of heavyweight songs – and it’s great to see word spread so fast and so enthusiastically! ‘Lights Of London’ is the second single by 22 yrd old singer-songwriter/producer Jack Robert Hardman through Pleasant Pursuits / Essential Music. Packed full of pulsating rhythms and intricate melody lines, ‘Lights of London’ tells the tale of a relentless desire to reach the bright lights of the big city. Fusing Hardman’s distinctive vocals and trademark production style, the song paints a dreamy picture of life in London, looking from the outside in. 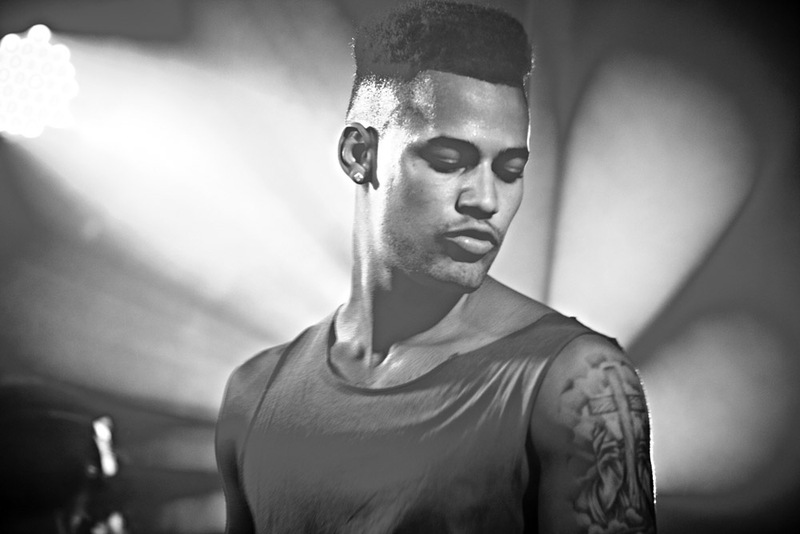 Since releasing debut single ‘Famous’, Jack’s quirky pop music has attracted great excitement and interest from music scene luminaries such as Huw Stephens (Radio 1), Tom Robinson (BBC 6music), John Kennedy (Xfm), and his local BBC Introducing presenter Linda Serck.